Many communities across the country want local public control of their water and sewer services. Municipalization — the purchase of a privately owned system by a local government — is a fairly common occurrence, but for communities unfamiliar with it, the process could appear daunting. The entire process must be as open and transparent as possible, with ample opportunity for public input. and these choices will have long-term effects on water service. local-control efforts. In these instances, strong community organization is essential to counter the opposition from special corporate interests and to see the municipalization through the condemnation process. Federal and state policies should support public ownership of community water and sewer systems. 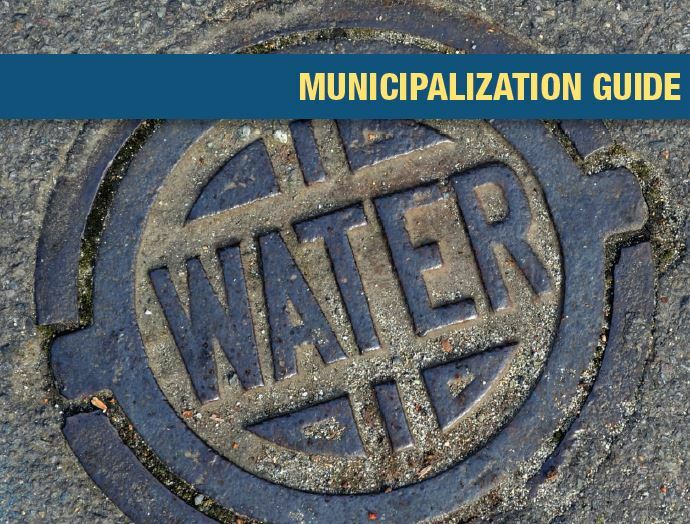 Legislators should streamline the municipalization process and forestall unnecessary and wasteful legal challenges from large water corporations. Water and sewer services are natural monopolies — necessary for public health and without substitution. Responsible and locally accountable public operation can best ensure safe and affordable service for all.